Our Auctions Defines the “Art of the Auctioneer”. Buyers need to respect and trust the auction company. Our company has developed an envious reputation amongst the buyers. This reputation symbolizes fairness, honesty and professionalism. When buyers learn it’s “Another Hilpipre Auction” they will be in attendance. 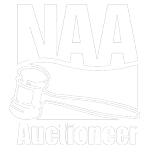 A successful auction needs buyers. Our ability to attract buyers is an important part of our heritage. Besides the ever proven live onsite auction bidding we also offer live webcast bidding. Live onsite bidding. The traditional auction way of having all bidders present at the auction site day of auction. Live onsite bidding and Live webcast bidding. On the day of the auction combining the traditional way with the additional option for bidders to perform their live bidding via electronic devices offsite. Live webcast bidding only. On day of auction bidders bid live only via electronic devices offsite. No live onsite bidders. Timed Online bidding only. Bidders place bids via their electronic devices during the designated dates. No live auction.